Most commercial office cleaning services won’t clean computers while cleaning an office. In fact, most cleaners won’t even dust a desk that a computer is sitting on or near. Why? Mostly they have been instructed to stay away from the computers by their employers, Simply because they don’t want to accept the liability should anything happen to the computer equipment or information and software stored within. We offer a computer cleaning service that specializes in cleaning computers used for business and homes cleaners so they can recommend your service to their clients We have the proper equipment to clean the computers along with the needed skills and a liability insurance policy. Heat is a leading cause of damage to computer hardware. 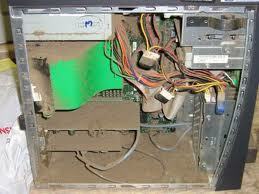 Over time, your computer will get clogged with dust, dirt, hair, and other debris. This is due to the suction created by multiple fans inside of the computer. 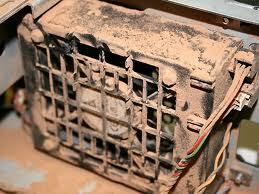 As the dust builds, it can interfere with the proper cooling of core components inside the computer. Overheating can cause unstable computer behavior, reduces the life of equipment, and poses a possible fire hazard. Plus, a cooler computer is a faster computer. Prevent problems before they begin by ensuring your computer is safe and reliable. Call Virtual IT Solutions to have your computer hardware professionally cleaned.